Using custom tube boxes packaging for t-shirts, neckties, dresses, jeans, etc., will make your product and brand well-differentiated from others, taking advantage of the brand’s influence and gaining more in highly competitive markets Share and profit; or through a unique custom packaging, so that consumers pay attention to, understand, remember the product and brand, forming a brand loyalty, so as to better sales. Kraft tube packaging with logo, will showcase more design features to customers, making it easier for consumers to remember in a highly competitive market and gain more customers. The well-designed design printed on brown kraft paper, reflecting the differences between products and brands. 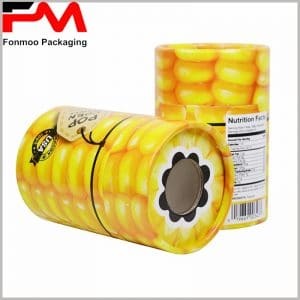 Although the majority of cylindrical packaging materials used are basically similar, but its design shows there are tens of millions of content, depending on the printing process used by the different and typographical content such as different, to show the product Different characteristics. 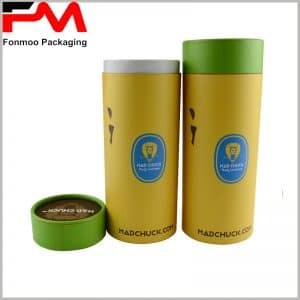 And t shirt tube boxes packaging than the direction of the carton packaging, occupied less place, to save more space and materials, consistent with the strategy of sustainable development. More importantly, cardboard tube packaging will be more compact shirt and tie neat package, as a tube gift box is also a very good choice. We provide you with the tube boxes packaging are customized, you can brand logo, bar code, the company website and other printed on the surface of the box, there are options for monochrome printing, four-color printing and bronzing printing process, production line with you Customized product packaging required. This packaging design is simple. Can I provide my design and print the logo on a kraft tube to form my brand packaging? And what is the minimum order quantity? Can 500? Kraft paper shirt packaging has become a popular trend. In terms of your work, I have enjoyed a large kraft paper tube shirt packaging, which will be of great help to the future design of shirt packaging. Thank you. I really like this simple kraft packaging design style, and it has many uses, thanks for sharing. There is no doubt that this kraft paper package is excellent and can be typical of shirt tube packaging. But can you show more? Such as using different printing processes, etc.